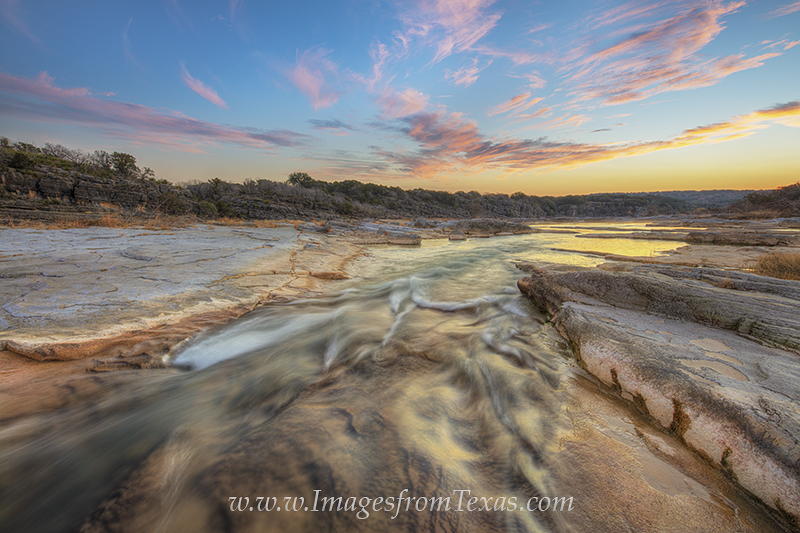 A glorious sky greeted those awake for sunrise on this chilly morning along the Pedernales River. This is one of my favorite places in the Texas Hill Country for sunrise, and sometimes everything works out with the sky, the light, and the river. I don't know if sunrises in Texas can get much better. Photo © copyright by Rob Greebon.